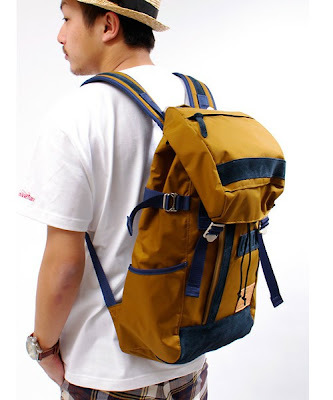 Japanese bag brand master-piece has been consistently producing high quality bags that are made in Japan and one of their staple product is this backpack. Tokyo-based, Push Connection offers a mature menswear that revolves around the notion of skateboarding. The two brands have collaborated several times in the past and a new version of the classic backpack is produced for the upcoming season. Exterior of the backpack is constructed from a combination of durable nylon and suede materials, and it comes in either black/beige or beige/navy color scheme. The bag features ample storage space, perfect for work, school or travel. These items are scheduled for release in late April, however ZOZOGRANDH in ZOZOTOWN is taking pre-orders right now.